These women are fighting over something that is important to them, and i honestly think it is a good idea, women do not get the respect or credit that they deserve. As a young women i feel like i would too be in this march. 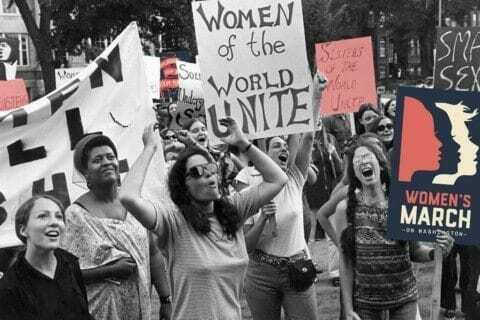 The messages they have written on their signs are powerful, because women nowadays are putting each other down instead of up. Women’s March by Juray is licensed under a Creative Commons Attribution-ShareAlike 4.0 International License. Opinion on the Crestwood Village sign"Not your Mascot"